Evia is the second largest island in Greece and also has the second largest population of any of the islands. It’s one of the closest islands to Athens and since it is so vast, you could spend several weeks here and not even come close to seeing all of it. Because of its proximity to Athens and how beautiful it is, Evia is a popular destination for native Greeks and tourists alike. 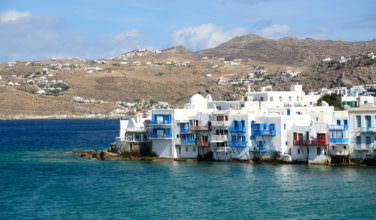 The island has a rich history that dates back to Ancient Greece. 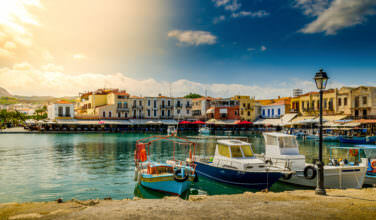 The island was also referred to under different names, such as Makris and Doliche. It seems that the name of the island changed depending on who occupied it at the time. After the Turkish occupation of Greece ended, the island’s name was changed to what it is today. If you do decide to visit this island, there are three basic options you can choose. First, you can take a ferry. The easiest way to get to the island, however, is by car or bus. There are two land bridges that connect Evia to mainland Greece. So if you’re renting a car during your vacation, Evia is an easy stop. Because Evia is so big, you have a lot of choices as to where to stay. 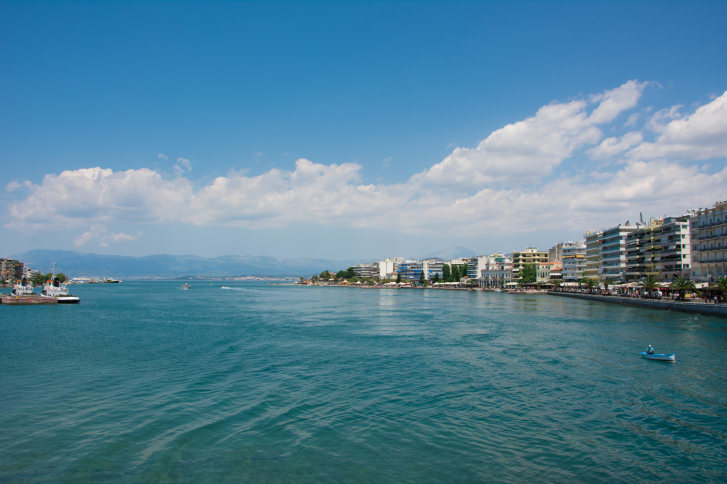 There are two fairly larger cities on the island – Chalkis and Eretria. If you want a trip that involves city life, staying in or near one of these places will be ideal. You can also stay in one of the island’s many beach resorts or one of the smaller villages. Each place offers a different kind of vacation and the ideal situation would be to have enough time to experience a little bit of everything! One of the things that makes Evia so unique is its landscape. 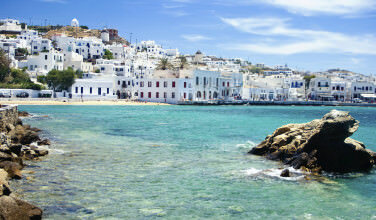 Crystal blue waters sparkle in the Aegean sun, making it an ideal place for beach goers. Those who love water sports will also love it here. 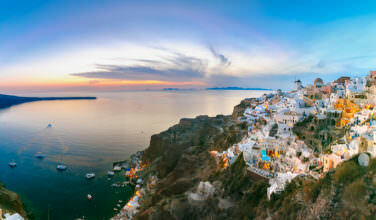 For instance, it’s one of the top destinations in Greece for scuba divers. You can also go snorkeling and even windsurfing! Evia is also a popular destination for hikers, thanks to a large mountain range that runs through the center of the island. Hikers flock here not only to test their endurance in the Greek wilderness, but to also experience some of the local culture on the island. Spend the day hiking and then have a great meal in one of Evia’s many tavernas and restaurants. If scenic driving is something that you enjoy, be sure to take the road from Halkidi to the north, which is considered to be one of the most beautiful drives on Evia. Anywhere you visit on the island has a different character than the next, and it can be difficult to find a place to spend most of your time – they all have their own charm. The solution, then, would be to explore to your heart’s content, and then spend more time in your favorite place.